The G7 Summit is coming to an end. In its framework the US pushed an openly anti-Chinese and Anti-Russian agenda. 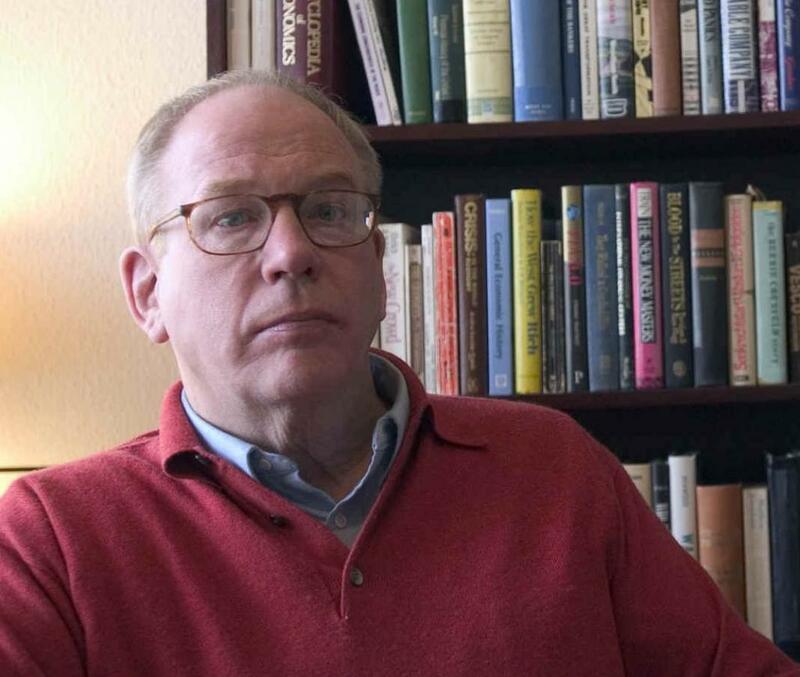 William Engdahl explains the reasons for this and predicts the failure of the US hegemony as a consequence of this policy. It's no surprise to me that the G7 leaders agreed to continue the sanctions against Russia after June. This is the economic and financial order of the United States. In the EU there is a great division against these sanctions. A large fraction wants to renew economic ties with Russia, but the pressure from Washington is simply enormous, especially on Angela Merkel. She is really making such bizarre foreign policy decisions that even most of Germany’s conservative voters don't support her anymore. So, the G7 is the organization that has become increasingly irrelevant to what really is going on in the world, positively or negatively. You have the G20, which really is an attempt by the G7, by the US, as its power declines globally, to continue Germany’s emergence as a nation such as Russia, China or others countries from the G20. I think it would make more sense to kick out the G7 from the G20 and go along with the G13, because you will make much more constructive policy decisions. That is essentially what Russia is doing in a context of the irrational economics of EU-China cooperation. All the great Chinese economic projects go across central Asia into Russia. So I think the G7 is being using as propaganda to prepare increasing conflict between NATO and China. They mentioned that they are certainly concerned that Russia isn't regarding the "Minsk agreements". It's just an attempt to keep the level of tensions extremely high. At the same time, Washington is putting US troops on the soil of Eastern Europe (Poland and other counties). It is activating its missiles, so-called "defenses". We're getting a new generation of nuclear weapons installed in Germany. We are getting close to a nuclear global catastrophe by miscalculation. You can’t play nuclear checkmates like what Washington is doing. So what is coming out from the G7 is an increasingly irrelevant group of nations - Canada, United States, Britain... Look at this economic situation - it's disastrous. The debt level of the US is enormous. And these are not the leading nations of the world; there is no sense in that. I think the G7 is an inadequate structure. It has been around for too long and they have to be done with. For Washington the whole world is black and white - war and peace. From their geopolitical sense, Russia has to be isolated, which is not an option; China also has to be isolated... This shows the lack of strategic depth in the current leadership of people like Ash Carter, the Defense Secretary. These are intellectual lightweights in terms of understanding history and culture. It's a very dangerous situation. I think Russia is doing a great, incredible job dealing with that, under enormous challenges. I think it has to do some other things, for example, changing the American-dictated constitution of 1990, which took the National Reserve bank model for the ruble’s stability and inflation control. That is a link to the dollar, and the dollar is very dangerous these days to be linked to. So, there are many economic problems in Russia, but otherwise, I think Russia is performing brilliantly. And it's very positive for the world. Obama's new specific partnership explicitly aimed to isolate China from certain trade agreements. The south tried to see conflicts over China to up the pressure. In the last few years China has desired security - economic security with the sea lands that want their oil and their stream of goods. That is one reason why they built a network of ports and NATO imposed an embargo on shipping. The problem for the US is that they are preparing the war from two fronts, and that is really using prepositions, even with the state of military technologies that Washington thinks it has. The two fronts are China and Russia. I think the US will fail. That is going to be a very testing and trying time. The American nation is economically at the act of bankruptcy. It's a net-loosing economy. It outsourced most of its production to the rest of the world, especially Asia and China, for the last 25 years. America is in a great depression. There is a high level of unemployment - 22-28%. The industrial base is in a fatal condition. The US military has to import sensitive computer components from China. Well, it's the (G7) member countries, who has been asked to ratify the Trans-Pacific and Trans-Atlantic trade partnerships. It's foolish enough to sign what has come out from various leaks. They are committing for themselves a suicide. Sovereignty disappears in the world of transatlantic trade and investment partnership. Private multinational corporations can sue European companies and other companies , who signed this agreement. It will allow this private corporations to establish their dictatorship over governments. And I frankly think that governments and nations and the border are important, just as the people. My personal borders are important, I will do anything, if anybody will try to violate them. And there is the same thing with the nations. Nations matter, that's very important. And that is what the BRICS countries - China, Russia, Brazil until it's resent coup d'état, their putsch against Dilma Rousseff,- are very conscientious about.